What does it mean to be a black woman? Is it the way we walk? Is it the way we talk? Or is it something that comes from within? Or just maybe it's none of those things at all. Maybe it’s simply our melanated skin. I often wondered if I were ever enough. I, the quiet awkward introvert who never quite fit into the black woman stereotype (labels) but just happened to be a black woman. Would my color ever be enough or did I have to be more than my color? Did I have to be the stereotype of what others envisioned my color to be? Or, could I simply just be? These were some of my insecurities growing up. That we must all fit within some type of category in order to fit in. That color isn't as broad as the spectrum we truly are but that we are only relegated to a category. So the question then becomes are we more than a stereotype? Growing up I was an introvert who happened to be black. I define introverts as internal souls who live within. Introverts don't necessarily have the need to be social, outgoing or the life of the party. There is that contentedness of being solitary and having that quiet private time. It is a way to regroup and recharge from being in the world. And though there are many different types of introverted personalities the idea of being internal and private still rings true for many. 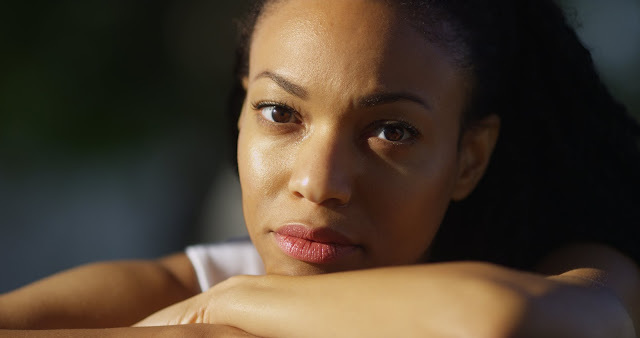 As a black woman who is an introvert I've faced some unique challenges that my conscious mind has now learned to process. Those challenges included being content with my own identity. From time to time I would get the 'You don't act black enough' or 'You don't talk black enough' comments. I would often wonder what that even meant. Are our minds that narrow that we have to limit ourselves to an accent or mannerism? Is that really all that we are as a race or can we reach beyond the superficial? Of course we can! There was a strong desire for me to fit in growing up because I was opposite of others and too scared to be me. By opposite I mean quiet, shy and unsure of myself while others were more vocal and fearless. And by the way, shy and quiet are two completely separate things. Although there may be introverts that are shy, it’s a personality trait that can be tied to all personality types. At that time, I just happened to be both things. Well, I didn't want to be the shy, quiet one who stuck out like a sore thumb. I didn't want to be different. I wanted to blend right in. So my subconscious mind looked to the stereotype of what black is as who I should strive to be. This thought process caused a lot of problems for me because I simply covered up my authentic self. Instead of looking within I looked to others on how to be and who to be. I could not accept myself because I felt my differences were a negative. It was a rough time because self-love was not a present factor in my life at that time. I had no clue. But the bigger lesson in all of this is that instead of searching for an acceptable identity, realizing that I already 'am.' I was and I am the person God made me to be. I did not have to look beyond myself or try to be anything other than me. This is more of a universal message for all personality types. Self-acceptance/self-love is the key to embracing your genuine self. Well, I finally came to realization that I was enough after my spiritual light grew inside and I became closer to God. Although it was later in life when I had this epiphany, my conscious mind began to digest the idea of what the essence of color is and then it all made sense to me. For me color is about culture and the idea of just being and nothing else. Black just is! And that’s it. There are no stereotypes that we should hold ourselves to. Being black is about accepting everything that black embodies and that’s a wide spectrum of who we are. One personality does not define another or an entire race so we must learn to accept everyone for who we are. As an introverted soul I’ve accepted all facets that make up who I am as a human being. And what I’ve learned is that it is ok to be a black woman who is also an introvert and defy stereotypes associated with what it’s supposed to mean to be black. What’s most important is that we can all learn from one another regardless of race or personality type. We each bring a unique aspect to the table in this journey we call life. What does being an introvert mean to you? Valarie Stephens is a self-proclaimed introvert who lives life as a free-spirit and creative soul. Her life's journey of ups and downs, personal pain and setbacks are just some of her topics of discussion from her first book titled ‘The Quiet Thinker.' 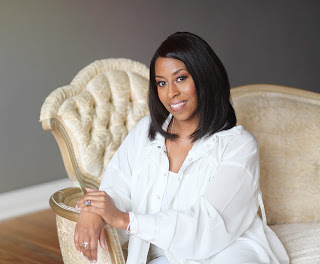 Through spiritual growth and prayer she's been able to get through dark times in her life and completely transform herself into the positive role model she is today. Whether you consider yourself an internal spirit or an extrovert, she has a universal message for everyone. Healing the world and helping others walk in their best light is her life's purpose.